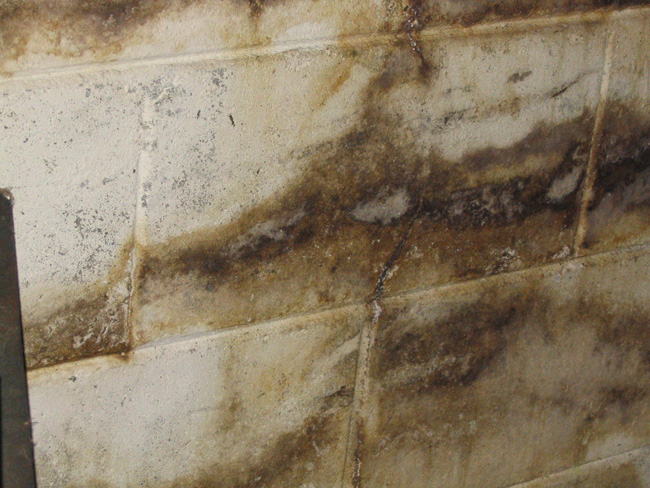 Are you plagued by basement mold? If you want to get rid of basement mold once and for all, it’s important for you to know and understand the mold triangle. The mold triangle consists of three sides: moisture, warmth and food. Each side of the triangle is vital in the elimination and prevention of mold. Understanding each side and how to remove it will help you determine how best to prevent mold infestations. This is not only an essential part of the triangle but also the hardest side of the triangle to break. Molds do well in warm temperatures ranging from between 40 to 100 degrees Fahrenheit. They therefore do well at room temperature, which makes it difficult to control the environment in the mold grow. You would be forced to either turn your home into a freezer or into an oven. None of these prospects are attractive. It therefore makes sense to concentrate on the other two sides of the triangle. Moisture is the easiest side of the triangle to control. However, it is important to remember that mold don’t require pools of standing water or dripping water to grow. Moisture can take the form of high humidity levels or moist surfaces. One of the key ways of dealing with moisture involves taking it out of the air. This may involve the use of a dehumidifier to control humidity levels in the basement. It is also important to invest in waterproofing for the foundation. This will keep water out of the basement. Mold can’t grow without a source of food. This doesn’t mean that they will grow only in obvious food space such as the kitchen. Mold can dine on just about anything organic. Mold can take up nutrients from organic construction materials such as wood as well as furnishings in your home. You are likely to find mold growing in drywall, your couch cushions or even your curtains. This means that controlling food sources for mold can be difficult. One method of keeping mold off food sources is by using anti-microbial cleaners. You can also use mold-resistant building materials to discourage the growth of mold. Ensuring that organic materials are cleaned regularly is also a great way to prevent the growth of mold. Watch closely for signs of mold growth. If you already have mold in your home, hire a professional contractor to get rid of the mold.